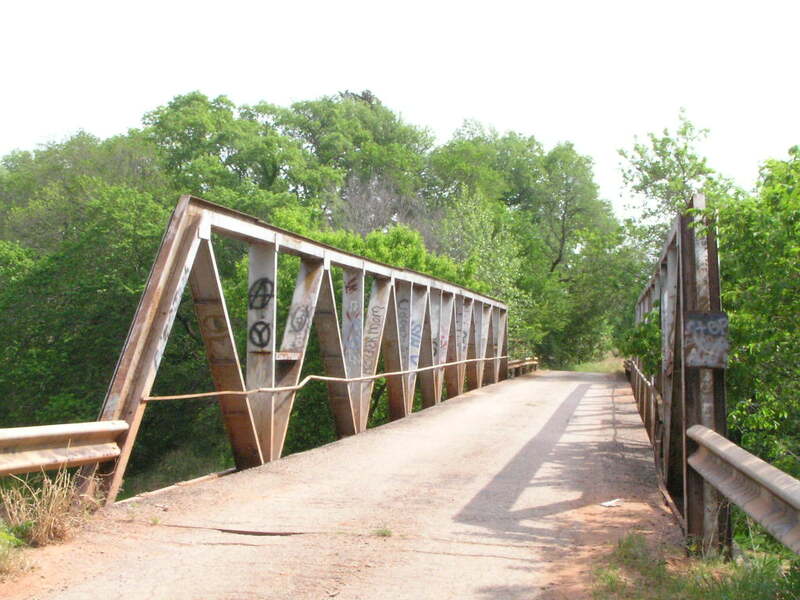 Built in 1936, this 2 span bridge is cobbled together. It consists of a 108 foot welded Warren span, and a 50-foot riveted Warren span. 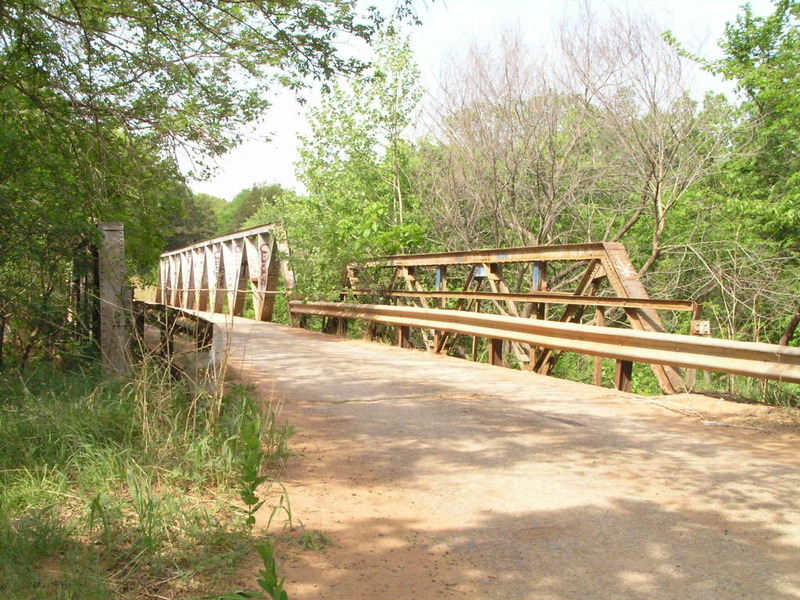 The welded Warren span was likely fabricated to replace a through span that washed out. The riveted Warren pony span was moved here from somewhere else and widened. Above is an older photo from when we visited in 2002. The remainder of the photos are from when we visited in 2005. Below, a view through the bridge showing the welded span first, looking east. This span was apparently reinforced with extra material on both the upper and lower chords after initial construction. 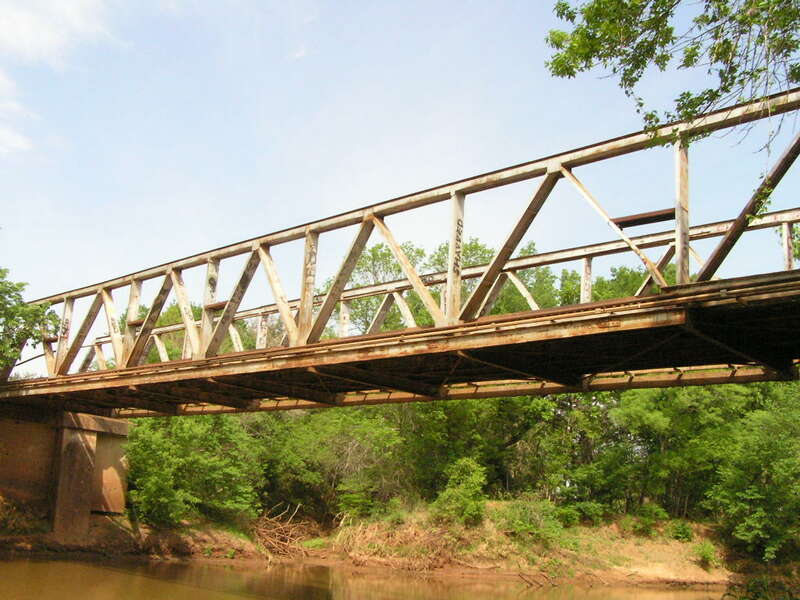 Above, a nice contrast to the clumsy execution of the welded span is this riveted Warren span. 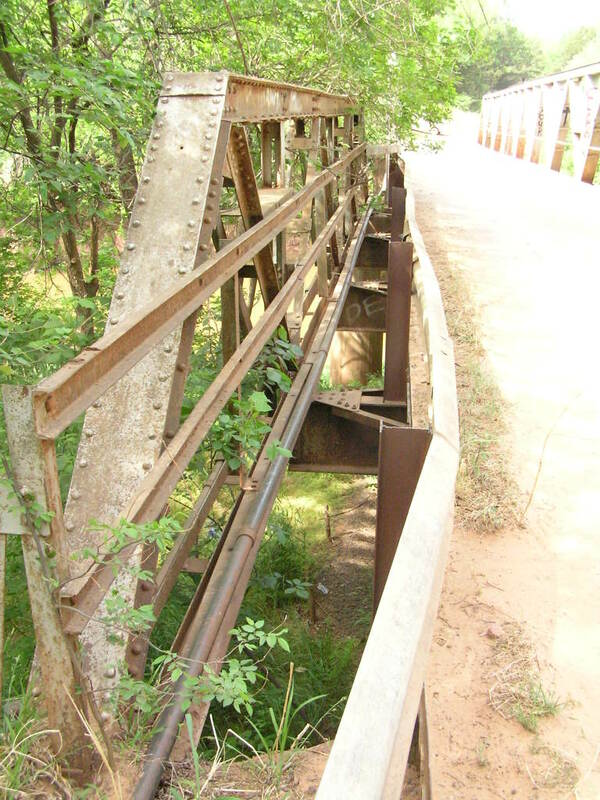 Below, a side view of the welded span. 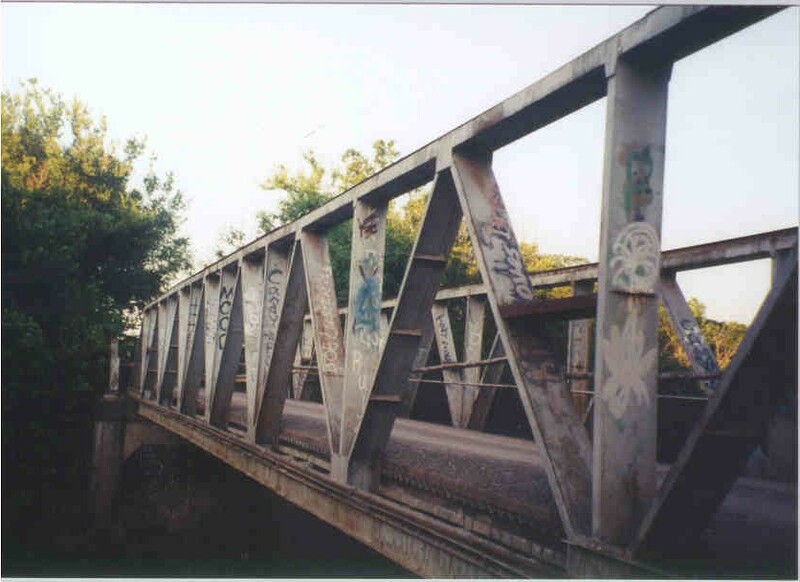 Above, the welded span was not built as wide as the Warren, nor was it built as wide as the span it is replacing, as the broken anchor bolts on the abutment and piers indicated, so the deck was made narrow on the riveted span. 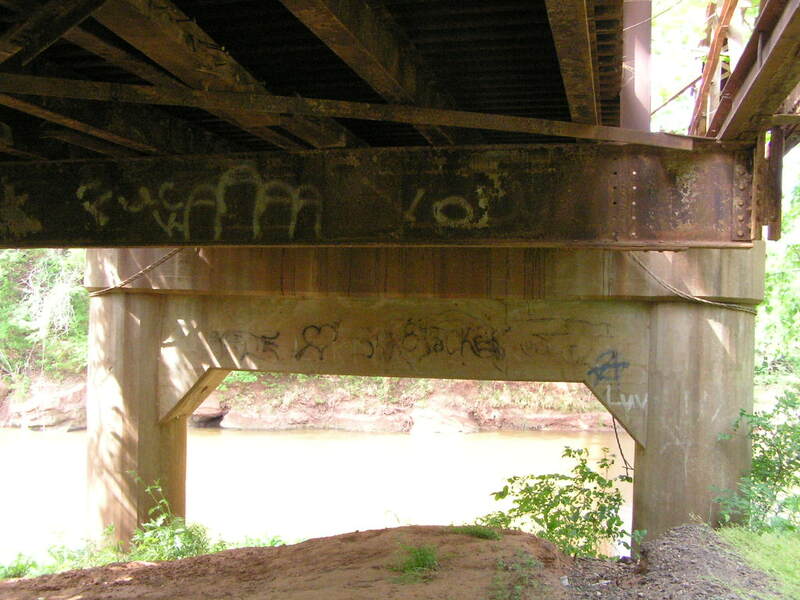 Below, evidence that the riveted span was widened, probably to match the width of whatever the original mainspan was. Again, there is a nice contrast here between good workmanship and the work done on the longer span.